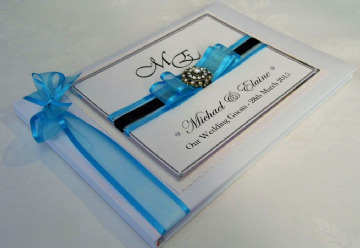 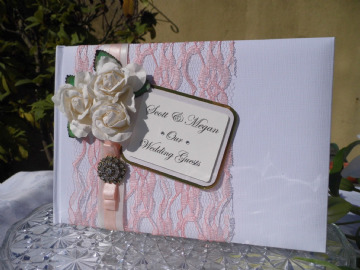 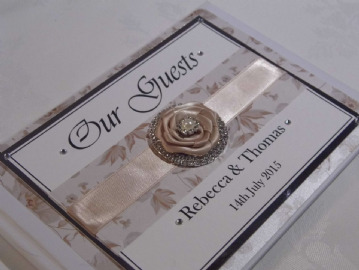 Welcome to our range of beautiful personalised Wedding guest books. 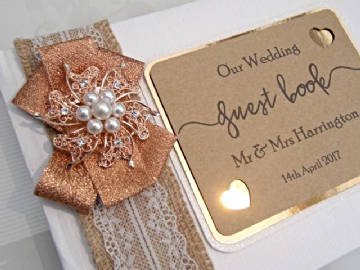 Individually handcrafted for your special day. 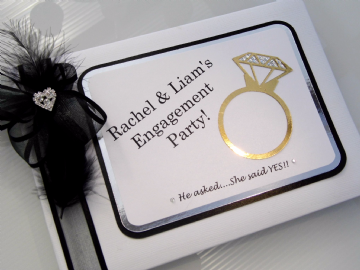 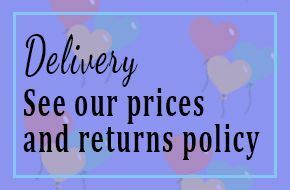 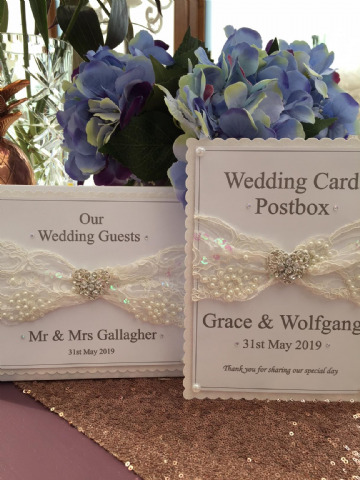 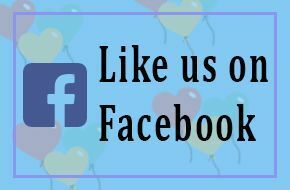 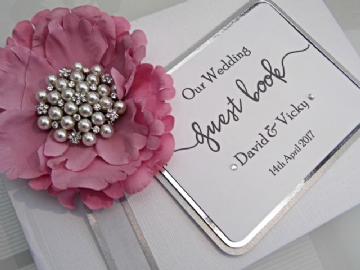 We offer an exclusive range of designs and themes personalised with your very own message for this very special occasion. 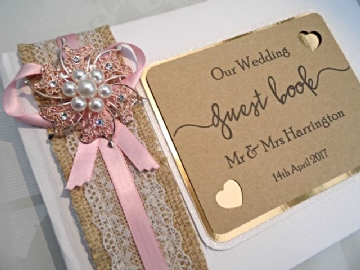 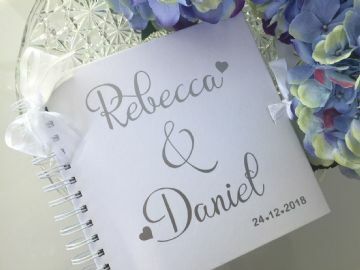 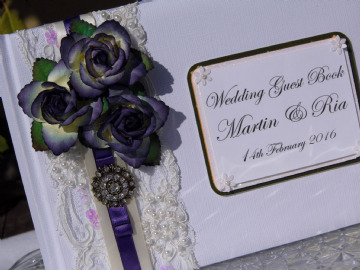 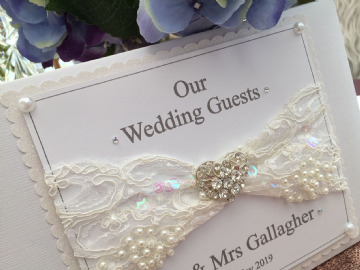 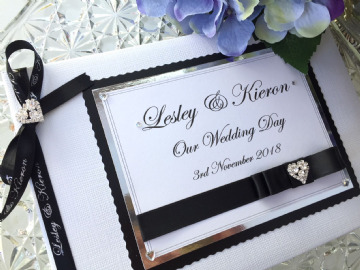 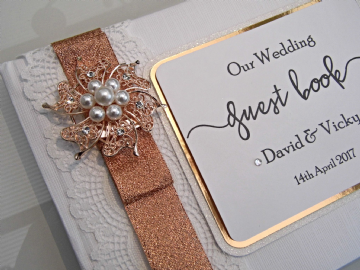 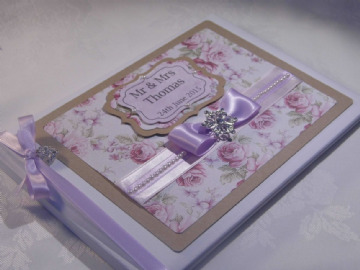 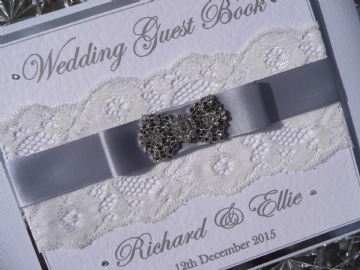 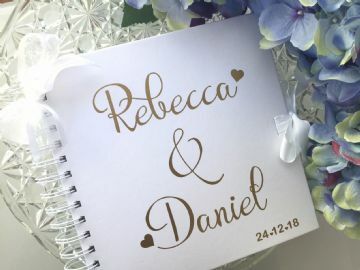 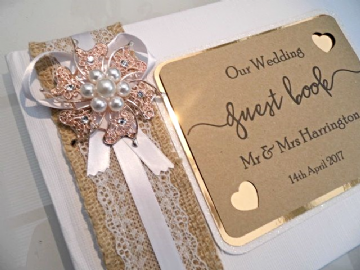 With gorgeous ribbons and striking embellishments you can be assured of a stunning keepsake book that is the perfect place for your guests' to write their special wishes to the happy couple.